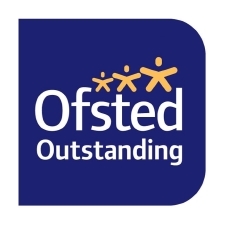 OFSTED OUTSTANDING 2011/12 AND AGAIN 2013/14! We welcome you and your children to our school with all our hearts, and look forward to getting to know you, and you getting to know us. This website is designed to give you information about our school, the start of your child''s education, and to let you get acquainted with the aims and objectives of our school. The school is managed by mother and daughter team Sylvia and Charlotte de Lacey. We are both fully qualified Montessori teachers with in excess of 30 years teaching experience between us. We are supported by our dedicated team of highly skilled and experienced staff, most of whom have been with us for many years. We always exceed our required teacher/pupil ratios, ensuring maximum contact time between staff and children. We are also extremely lucky to have one of only 20 'Early Years Professionals' (EYP) in the Borough of Hounslow in our school. This is a postgraduate qualification, and is the highest possible at this time in the Early Years sector. It really is a sign of the quality we are able to offer to have such high levels of skill and experience on offer to our children. We run the school on a full time basis – that is from 9:30am to 3:30pm, Monday to Friday during term time, to make sure that all children receive the maximum benefit from their time with us, and to properly prepare them for primary school. We are, of course, an Ofsted registered school. We were last inspected in June 2008, when we are very proud to have received a ''good'' grading, as well as several commendations for our work. To view our last report please click here. We are also members of The Montessori Association and the Pre-School Learning Alliance. We send out regular newsletters to all our parents, including those on the waiting list, have a dedicated Facebook page, as well as both 'School' and 'Community' Noticeboards in school where you canget up to date information on what is going on at anytime. We also take communicating with each individual family about the specific progress of their own child very seriously, and offer several different ways that we can share information. Firstly, each child's 'Key Teacher' will create an individual ''Learing Journal/Child Profile'' for your child, allowing you to see how your child is progressing, with photos, observations by staff and examples of work. These are very popular, and of course you get to keep them at the end of the year! We also send home a weekly 'Parent/Teacher Notebook' through which we will let you know what your child has been working on that week, what they have been interested in, how and who they have been playing with etc. We invite you to reply to us, letting you know what you think, what your child has been up to at home and so on! There will also be our now traditional ‘coffee mornings’, when you can see the school in session. There are two during the year; one for younger children, to show their progress in the nursery skills, and the second for older children, to show you how we build to reading, writing and advanced maths such as addition and higher numbers. Prehaps most importantly, all our staff are regularly available at the start and and of the day to talk to about anything you may wish - your child's progress, any concerns about anything at all, anecdotes about your child, or just simplyto chat! At The de Lacey Montessori School we find it especially important to build strong, individual relationships with not just our wonderful children, but their families as well, as it is in partnership that we will really enable your children to fulfil their natural potential. The highlight of our parents’ calendar is the annual Christmas Show, which shows off our pupils'' artistic, musical and dramatic side!! 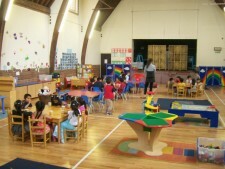 We are a true Montessori School and have been for 27 years. That means that you will get a team of properly trained teachers dedicated to giving your child a great start to their educational career. We are a real school in the sense that your child will take part in specially researched and designed educational activities, which are presented to them as ''play''. 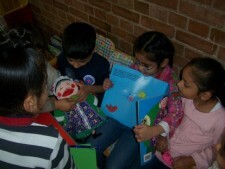 This leaves children with a love for learning as it has started out as fun for them. It is internationally recognised that the Montessori method provides an excellent springboard from which children can take full advantage of the facilities offered and fulfil their natural, innate potential. Thus our purpose is to provide children with a good all-round educational basis, based on Montessorian principles of nurturing independence and self-confidence in a safe and warm environment, upon which their primary schooling can later build.